Last fall, Associate Director Dan McNerney took a three-month sabbatical for rest, reflection and study. He shares here from one particularly meaningful experience during his time away (excerpted from a longer account). 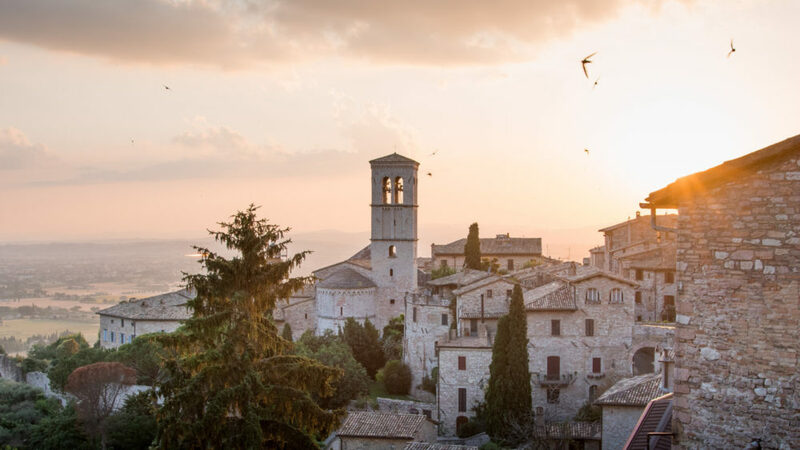 In late September, my wife Sharon and I went on a hiking tour through Italy’s Umbria mountains, following in the footsteps of Saint Francis along with 15 other travelers from the United Kingdom and Singapore. We began in the town of Spoleto and walked several miles each day. I felt wonderfully convicted to do more walking and hiking in the future as a way to allow the Holy Spirit to talk to me and instruct me in His ways. To You praise, glory, and honor and all benediction. And there is no one worthy to mention You. And is a symbol of You, God most High. Francis was born into a wealthy merchant family. He could have easily remained in that life, but God grabbed hold of him in a mighty way, challenging him to sell all his possessions and live in total dependency on Him. Initially he lived in the woods with only one tunic for clothing. Soon he was surrounded by followers who wanted the same life for themselves. This handful of dedicated men began a movement that now sends missionaries around the world to care for the poor. It’s amazing to consider what God can do with a life totally dedicated to Him. I’m reminded of the instructions Jesus gave His followers when He sent them to preach the Good News—“Heal the sick, raise the dead, cure those with leprosy, and cast out demons. Give as freely as you have received! Don’t take any money in your money belts… Don’t carry a traveler’s bag with a change of clothes and sandals or even a walking stick. Don’t hesitate to accept hospitality, because those who work deserve to be fed” (Matthew 10:8–10 NLT). I admire the courage Francis displayed during one of the darkest periods in Christian history, the Crusades. As battles raged, he traveled to northern Egypt and spent two weeks talking with the Islamic leader of the area, Sultan Malik al-Kamil. He explained the teachings of Jesus and appealed to the more peaceful teachings of the Quran. He and the sultan eventually became friends, and while battles continued, their peaceful conversations made an indelible mark on history. Francis not only believed in the power of prayer, but also in the power of peaceful dialogue. What could be more important today than Christians recapturing this vital role in our societies, helping people of different points of view dialogue in a peaceful and respectful manner? Followers of Jesus need to be careful not to be lured into belligerent attitudes and even confrontational hostilities toward opposing points of view. Those aren’t attitudes Jesus had in mind when He said, “God blesses those who work for peace, for they will be called the children of God” (Matthew 5:9 NLT). 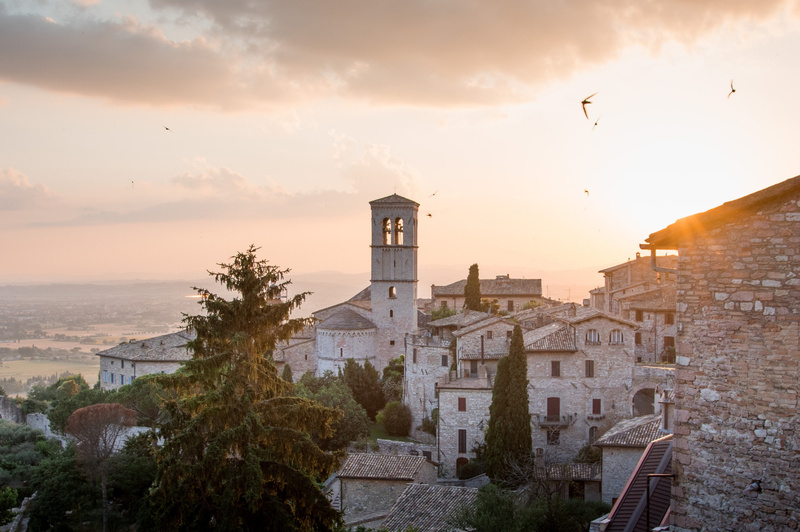 Sharon and I eventually made it to Assisi along with the rest of our group. We spent the final day worshiping at the Basilica of Saint Francis where he was laid to rest. Though that particular pilgrimage ended, our pilgrimage through life with Jesus continues. I pray 2019 will be a significant year in your own journey and that God will continue to form each one of us to be instruments of His peace.